Pelé, arguably the greatest footballer of all time, visited Nordoff Robbins last week to celebrate his Legend of Football Award, which was presented at the HMV Football Extravaganza (FE) in London. The FE, now in its 18th year raises funds for Nordoff Robbins. Taking place at the Grosvenor House Hotel on Park Lane in London, the FE saw stars from the world of football and music come together to celebrate Pelé’s incredible career. Previous recipients of an award at the HMV Football Extravaganza, which recognises outstanding achievement in the world of football and contribution to the beautiful game, include Sir Bobby Robson (2001), Sir Alex Ferguson (2005), Eric Cantona (2010) and Jose Mourinho (2011). 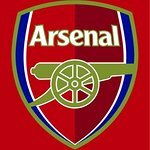 The 2012 event, in celebration of 20 years of the Premier League, recognised 5 players who had played more than 500 Premier League games. They were Sol Campbell, Ryan Giggs, Emile Heskey, David James, Frank Lampard and Gary Speed (who was awarded the honour posthumously). Whilst visiting Nordoff Robbins’ London Centre in Kentish Town today, Pelé met 13 year old Eduardo. Eduardo, who has autism, has been coming to Nordoff Robbins since he was 10 to help develop his confidence and communication skills. Eduardo was born in the UK, but both his parents are from Brazil. 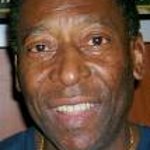 Pelé said: "I am honoured to be receiving the Legend of Football Award at the HMV Football Extravaganza. It feels special to be recognised at such a prestigious event. Brian McLaughlin, chairman of the Football Extravaganza event, said: "We are honoured to be presenting Pelé with the Legend of Football Award. He is without doubt the greatest footballer of all time and a man who remains at the centre of the beautiful game, where he is universally recognised, respected and revered in every corner of the globe. Nordoff Robbins is the UK’s leading provider of music therapy services. Their trained network of music therapists work with people of all ages and with a range of conditions. They deliver over 50,000 music therapy sessions per year in care homes, day centres, hospitals, schools and their own centres. They are also developing a range of other music and health projects aimed at bringing music to more and more people in local communities.